Famous Italian film director Federico Fellini once said that “Rome does not need to make culture, it is culture…” It’s one of the oldest cities in the world and its very name inspires awe, longing and reminiscences. Its ancient streets and squares are instantly recognisable by even those who have never been and it’s this magical quality that makes for great cinema. This Anthony Minghella adaptation of the Patricia Highsmith novel brings out the bad side of Rome, albeit in a luscious and seductive manner. It sees Americans falling for old Europe and all its highbrowed corruption. Matt Damon plays Tom Ripley, an underprivileged but smart (some might say sociopathic) social climber who has been tasked with tracking down the wealthy Dickie Greenleaf (Jude Law). Of course the actors are stunning, but the city is the real star – we see narrow streets, scooters, the calm-but-treacherous sea and the insides of several jazz clubs. Many see Fellini’s La Dolce Vita as the Italian story and the three-hour film charts exactly what the so-called “sweet life” can be like. It shows us an Italy that’s recovering from the privations of World War II and uses an episodic medieval narrative style borrowed from Dante to ask questions about life, religion and culture. 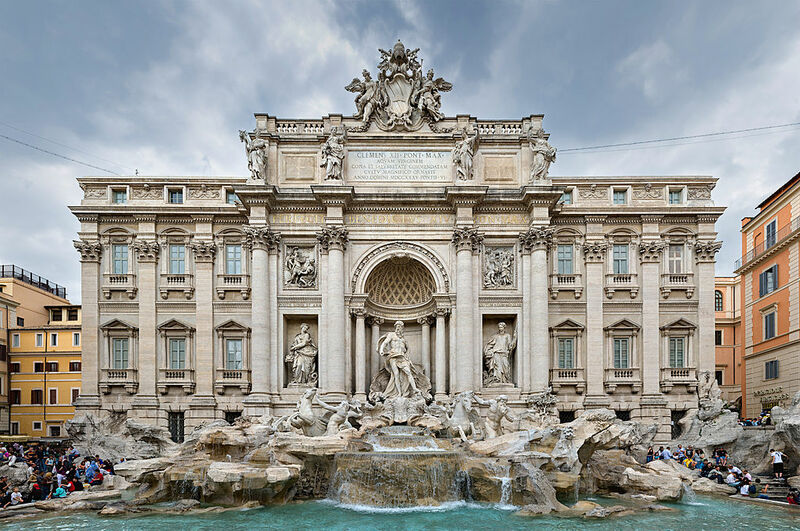 The iconic Trevi Fountain scene starring Swedish bombshell Anita Ekberg shocked critics and censors alike and the film still has the power to make viewers stop and think. Fellini was an outsider to Rome, having been raised in Rimini, which is possibly why he saw the city so keenly. Paolo Sorrentino is a fellow outsider (Naples) and he looks at Rome through a slightly hyper-real lens. Instead of post-war excesses however, Sorrentino brings us up-to-date with modern-day Berlusconi era hedonism. The Great Beauty is more of a hit back in Italy, but after winning an Oscar for the best Foreign Language Film in 2013, this tale of wild parties and strange performance art is sure to attract fans worldwide. Again, the city itself is one of the stars, with many architectural shots and vistas to gaze at. The Eternal City was brought back to life in this epic tale of one man’s fight for revenge and justice against the corrupt machine of the Roman Empire. Ridley Scott takes us back to the year 180AD to see Maximus Decimus Meridius fall from grace, lose everything and rise again to reap his vengeance against the narcissistic emperor Commodus. With the help of CGI, Rome is shown at its jaw-dropping apex, with huge horizons and city skylines, foaming crowds and, of course the Colosseum. As well as revenge, Gladiator explores the cross-over between mass entertainment and exploitative violence, which is as relevant today as it was almost two millennia ago.